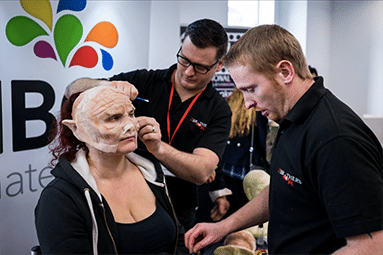 Now firmly established in the calendar, The Prosthetics Event is returning to Birmingham on Saturday 18th November. 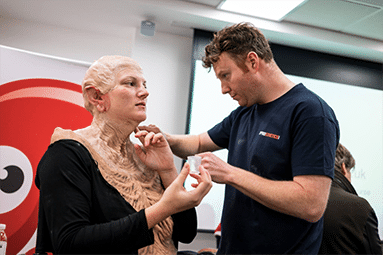 Hosted once again on the Aston University Campus, a full day of education and artistry awaits which covers the full breadth of the prosthetics and SFX industry. 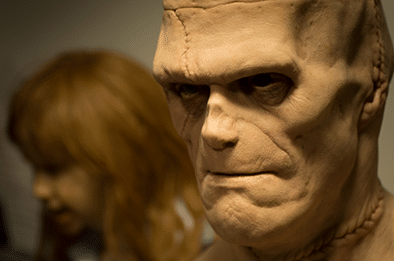 For make-up enthusiasts and film fans alike to meet the SFX heroes who set the screen alight, expect to see sculptors, bodypainters and monster makers in full force – along with some very special guests. 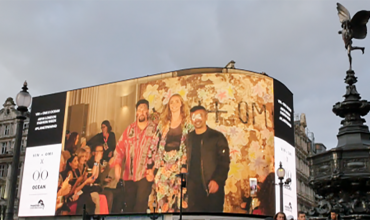 Chock full of talent, the main stage features a whos-who of big names. Flying in from the US this year is Hollywood couple, Eryn Krueger Mekash and Mike Mekash who are multiple Emmy winners for edgy horror anthology American Horror Story, while UK talent is headed up by Barrie and Sarah Gower, directors of BGFX, the company behind the incredible make-up effects in HBO’s smash hit series Game of Thrones. 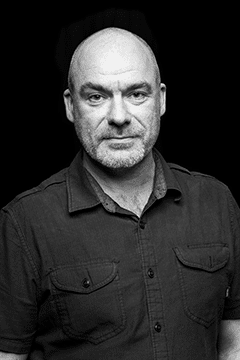 Event organiser and BAFTA winning Doctor Who prosthetics designer, Neill Gorton himself will be taking to the stage, along with a host of other experts including Chris Lyons, Sangeet Prabhaker, Andrew Whiteoak, Rob Mayor and Gorton Studio. 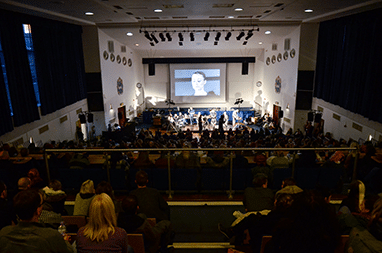 The 500-seat lecture theatre is hosting back-to-back demos, discussions and seminars all day. Always very busy, our tip is to check the schedule ahead of time and arrive early to guarantee a seat. Here is the schedule. 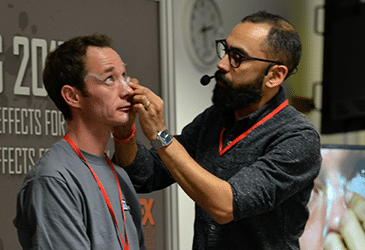 Holding a spotlight for small, clever processes that don’t feature in the larger-scale demos, along with interesting materials and subjects, the Prosthetics Jam is located on the Education Stage. Running back-to-back demos by some of the cleverest artists in the business, get in line early as this fills up very quickly. One of the event’s biggest hits, the Portfolio Surgery makes a welcome return again this year. Always hugely overscubscribed, applications are already closed for this year – click here to find out more. 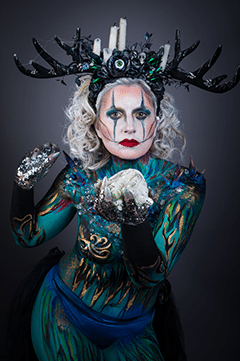 Back by popular demand, the Body Art Zone brings colour and a sense of carnival to the event, with artists creating fantasy works throughout the day. Incorporate prosthetics in their work, they’ll parade at the end of the day on the Main Stage. Expect to see the likes of Mona Turnbull, Catriona Finlayson, Angela Youngs, Suzanna Forrister-Beer and Mazz Hannah, along with many more. Find the full list of painters here. Inhabiting its own space within The Prosthetics Event, The Monster Mash is a gathering place for fans and aficionados of monsters in film and TV, concept design, mask making, collectables, fine art and much more. Learn more here. 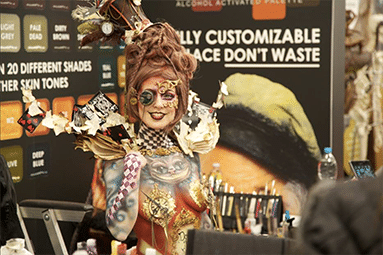 Exhibitors from across the make-up and SFX industry are on hand to kit you up. 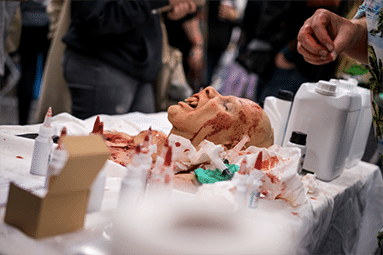 Gorton Studios and Neill’s Materials will of course be represented, as are The Makeup Armoury, PAM, Kryolan, Titanic FX, Paintopia, Screenface London and Tilt among others. Here is the whole list of exhibitors. As if that’s not all, you’re also in with a chance of winning a large haul of kit on the day. 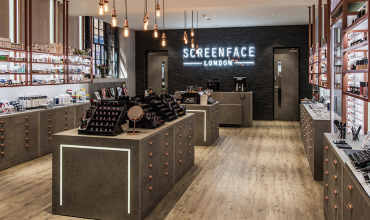 Three prize draws are made on the Main Stage that will see three lucky winners go home with £500+ worth of make-up effects materials and goodies each. To enter, simply put your tickets stub in the tombola at the door and you could be a winner, if you’re in the Main Stage area at the time of the draws, which are made at random. It’s set to be a brilliant day. Tickets are available here. We’ll see you there on Saturday 18th November from 9am until 5pm.